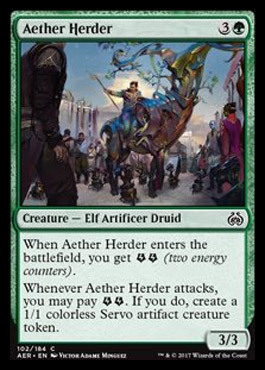 card text: When Aether Herder enters the battlefield, you get EE (two energy counters). Whenever Aether Herder attacks, you may pay EE. If you do, create a 1/1 colorless Servo artifact creature token.